« Welcome to the Year of the Pig! On a tight budget? You can still travel the world. I’m pleased to present another guest post from Jim McKinley, our financial writer in residence (well, virtual residence), who always has good tips for baby boomers who want to make wise use of their travel funds — and who doesn’t? 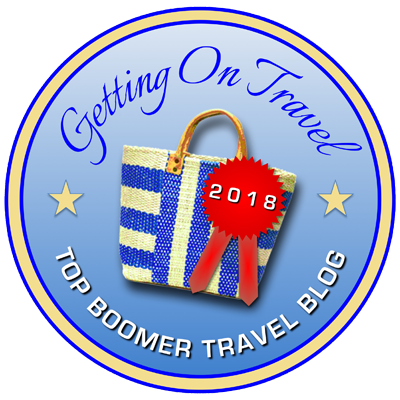 In today’s post, Jim — a baby boomer himself — looks at several ways to save money on a trip, both leading up to and during your travels. Many baby boomers have more time to travel now, whether it’s because they’re empty-nesters or retirees, and they’re pursuing it with more intense interest as well, as bucket lists beckon. The good news is that travel is good for you, with benefits for the mind and body. You’ll stay active strolling around museums and markets, swimming in the sea, or hiking in the forest, and it’ll broaden your perspectives while helping you to recapture that sense of joy and adventure you had when you were younger. But one problem plagues many a baby boomer would-be traveler: money. Alas, if you’re retired, your savings and income are finite, which may put a crimp on more extravagant plans. But don’t let that stop you from seeing the world, since there are a number of ways to maximize your budget. Here’s how. Seniors can sometimes fly for less on a handful of major carriers, in some cases without restrictions. But don’t stop your search there. Southwest Airlines, for example, offers “Wanna Get Away” fares that may save you more money than senior-only fares. You might also want to check out smaller carriers, which often fly to smaller airports that may be handy to your destination but also cheaper than big urban airports. 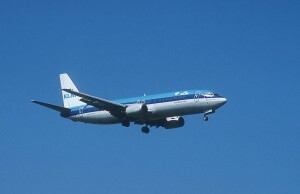 Since these airlines often offer fewer flights, flexibility in your travel dates can be key. Do a search of multiple airlines at Kayak.com and try different dates if you have a flexible schedule — air fares often vary dramatically from one day to the next. Websites such as ScottsCheapFlights.com and AirfareWatchdog.com can alert you to the best deals so you can jump on them before they’re gone. You might also try a popular travel “hack”: applying for an airline credit card that offers free miles — sometimes as many as 60,000 — just for signing up and using the card once or more. These deals are often proferred to passengers in flight aboard American, Delta, and United airlines, among others. But be aware that they may differ dramatically in how much you’re required to spend to get the miles. Bag fees, food purchases, and non-refundable tickets can all result in considerable added expense, and with basic economy fares you probably won’t be able to select your seats in advance; these days many airlines demand extra pay for selected “premium” seats. So saving money on airfare can be a constant battle to keep up — but worth fighting for if it gets you where you want to go. Riding the rails is often cheaper than flying, and it allows you to enjoy the beauty of the surrounding countryside as you pass by, gazing out the window with a cup of tea in your hand. For shorter trips, you may actually save time as there’s no need to get to the airport two or three hours in advance to pass through security. In the U.S., rail excursions are available from many major metropolitan areas. Amtrak, for example, offers multiple options for trips to Yellowstone, the Grand Canyon, and Seattle from Chicago. 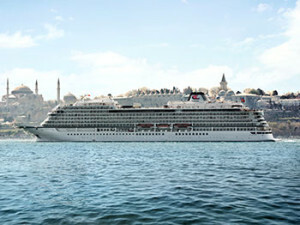 The Viking Star cruises in Istanbul. Photo from Viking Cruises. For Americans traveling in Europe, purchasing a Eurailpass can save you money if you’re planning multiple train rides, especially in several different countries. In Asia, China and Japan both offer rail service that’s incredibly fast and efficient. If you’re ready to pack your bags and set out on a cruise in the near future, check out VacationsToGo.com for some incredible last-minute deals. And always remember that for ocean cruises, especially, never pay the full brochure prices, which are often inflated by 50-100%. For cruises, the best advice is to “buy early or buy late” for the best deals. If you don’t have a lot of schedule flexibility, book a year or so in advance; with more flexibility, wait until a month or two out, when cruise lines are looking to fill their unsold cabins. The AARP, which anyone can join at age 50, offers 45 discounts that range from airline tickets to car rentals to tours of Italy, Australia, and Canada. 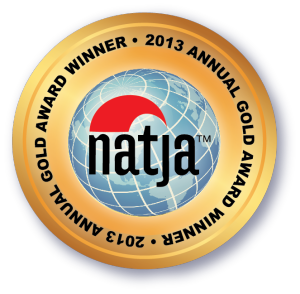 That’s right: the savings aren’t just restricted to the United States (though it always pays to check AARP — and AAA as well — for discounts at participating hotels and motels in the U.S.) And it’s also a good idea to call the business directly to verify if a specific reduction will still be available when you arrive. There are plenty of scams in the tourist business. Before paying for anything by cash, check, or credit card to a vendor in the United States, Canada, or Mexico, check with the Better Business Bureau to make sure they’re legit. One common telephone scam, for instance, promises “free” cruises that turn out to cost more than if you’d booked the cruise directly through the cruise line. A good rule of thumb for avoiding becoming a victim is to never give your account information out to anyone you didn’t contact first. Avoid traveling in peak seasons such as Christmas, New Year’s, and the summer holidays. That’s when the rates for plane and train tickets, as well as hotel rooms, go through the roof. Instead, keep an eye out for deals when there are fewer people on the road, which will depend on the destination. Much of Europe, for example, is a bargain from October through April — and in winter, especially, you won’t encounter long lines at museums and other attractions. September and October often see price reductions on European river cruises, yet the weather can still be warm and lovely at that time of year. Australia, New Zealand, and other Southern Hemisphere destinations can be relative bargains to visit during summer in the Northern Hemisphere, which is their winter. Temperatures are usually mild in Queensland (Australia) and the North Island of New Zealand at that time. Don’t let the spirit of adventure make you forget about your health. Injuries and illnesses do happen on the road, so it’s best to be prepared. Travel insurance can give you the medical coverage you need while also reimbursing you for lost baggage and canceled flights. That peace of mind is worth the investment. Having access to a kitchen allows you to skip expensive restaurants and whip up dishes using ingredients you pick up at local markets. As an added benefit, you’ll likely maintain a healthier diet. Do treat yourself at least a few times, though, as the experience of dining out at local restaurants can be one of the true pleasures of travel. Author bio: Jim McKinley is a retired banker who loves explaining financial issues; see his website moneywithjim.org.